Could there be a more romantic wedding venue than Clock Barn? We certainly don’t think so and we love it when our couples create weddings that are just full of romance. 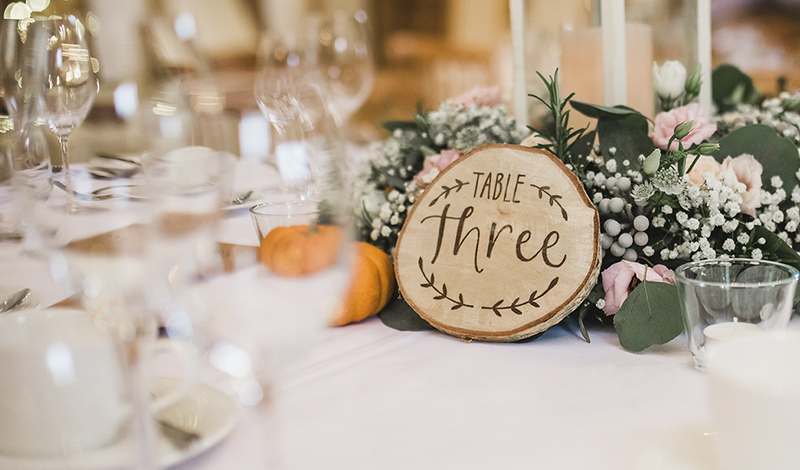 If you’re planning a rustic wedding theme and you’d like your day to be full of romantic details, this is the feature for you. 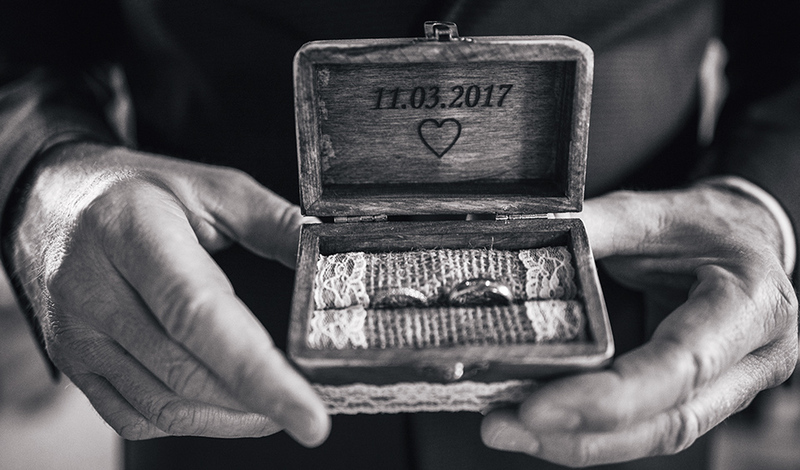 We’re sharing some of our favourite rustic wedding ideas that will certainly make your heart beat a little faster. Fresh flowers are always beautiful at weddings and they’re definitely linked to love and romance. Bouquets and decorations that are filled with roses and seasonal blooms look gorgeous and when they’re arranged in a really natural style, they’re super romantic. Soft florals such as peonies and ranunculus are always popular and what could be more perfect for a rustic wedding theme than oodles of gypsophilia? Finish your decorations with twine or trailing ribbons for the perfect country feel. When you’re choosing your flowers, think about romantic colours too. Delicate pastels bring a gentle feel to your day and, if you’d prefer a slightly bolder tone, lilacs and purples are simply perfect. Speak to your florist to find out what will be in season when you wed so that your blooms look as natural as possible. Alternatively, why not think about the ‘language of flowers’? 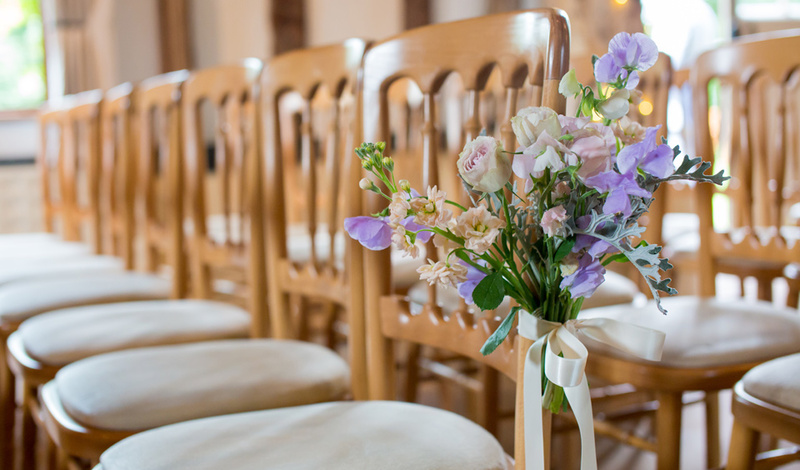 Popular in Victorian times, each floral variety comes with its own meaning so, follow the Royal brides of recent years and opt for Lily of the Valley (meaning ‘trustworthy’) or Myrtle, which is an emblem of love and marriage. 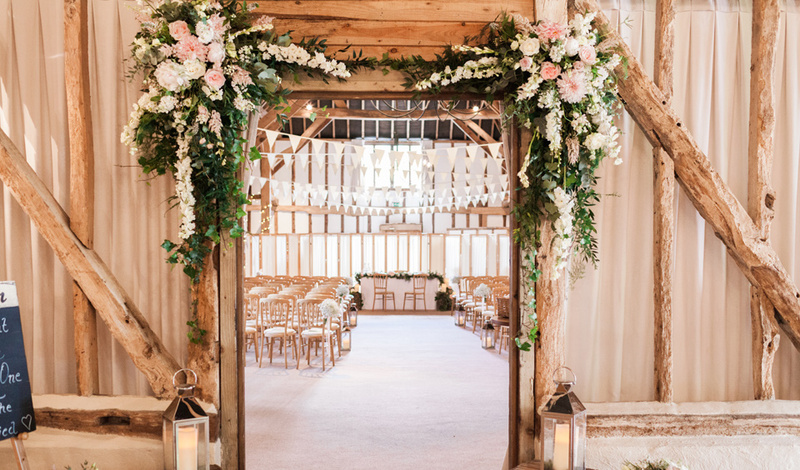 There are so many ways that you can include romantic details in your rustic wedding so why not sprinkle them throughout this beautiful barn wedding venue? Little bundles of herbs, again with their own secret meanings, make fabulous pew ends or table centres. Backdrops created from trailing greenery look amazing to frame your wedding ceremony or top table and we also love signature cocktails made with seasonal ingredients. 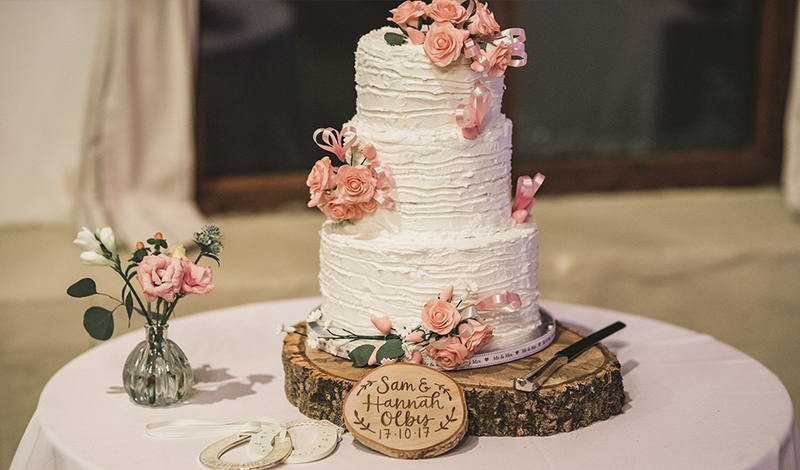 Wooden slices are the ideal base for lots of rustic wedding ideas and there are lots of romantic wedding ideas here too. 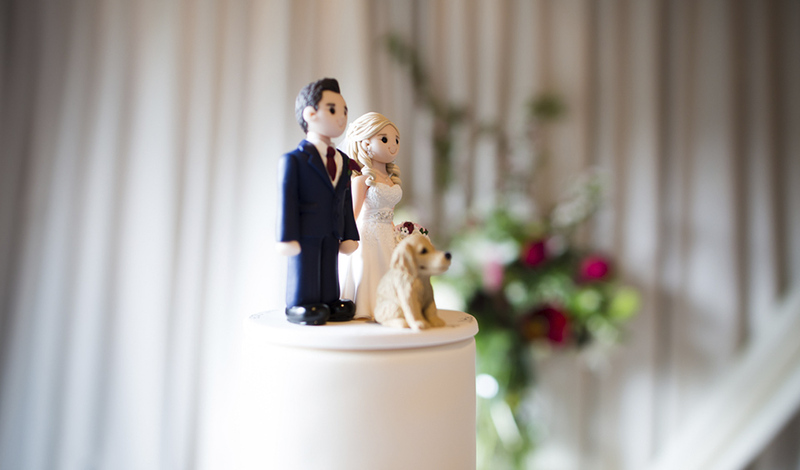 Use tiny slices to make place cards or tags for favours and larger discs as cake or table centre stands. These wooden accessories are so natural and so in-keeping with the barn that you can’t help but adore them. 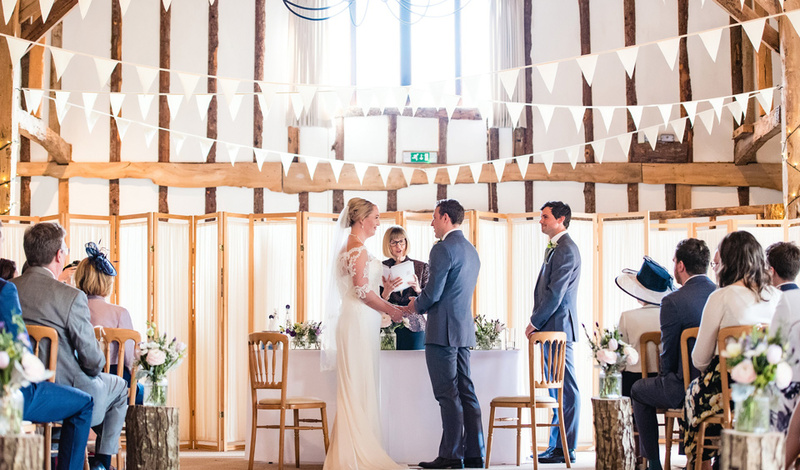 Our bunting is another wonderful rustic touch and lots of couples make their own version with their new married names to decorate their chairs at the wedding breakfast. When it comes to your meal, you could even opt for a sweetheart table – this means that the two of you sit alone to dine and this is possibly the most romantic table for two ever! 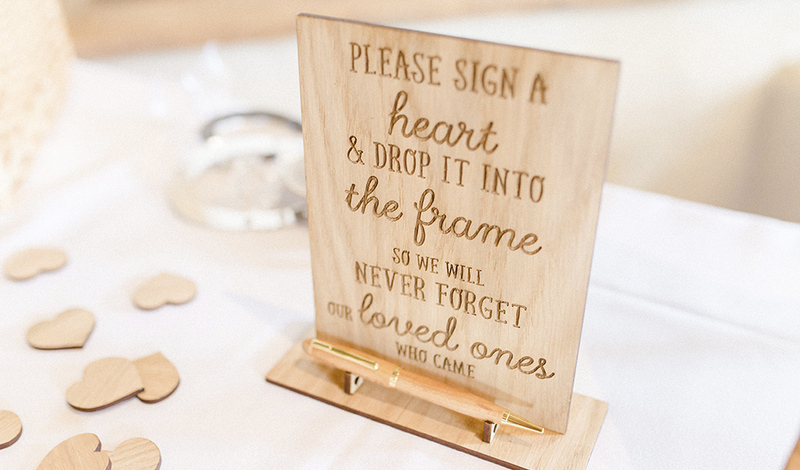 Staying with the wooden theme for a moment, why not create wooden signs complete with romantic messages or use a wooden ring box for your wedding rings? You can get this engraved with a special message that will make your box even more meaningful. Don’t forget that lighting can really change the atmosphere in the barn and you can create a romantic ambience at the flick of a switch! 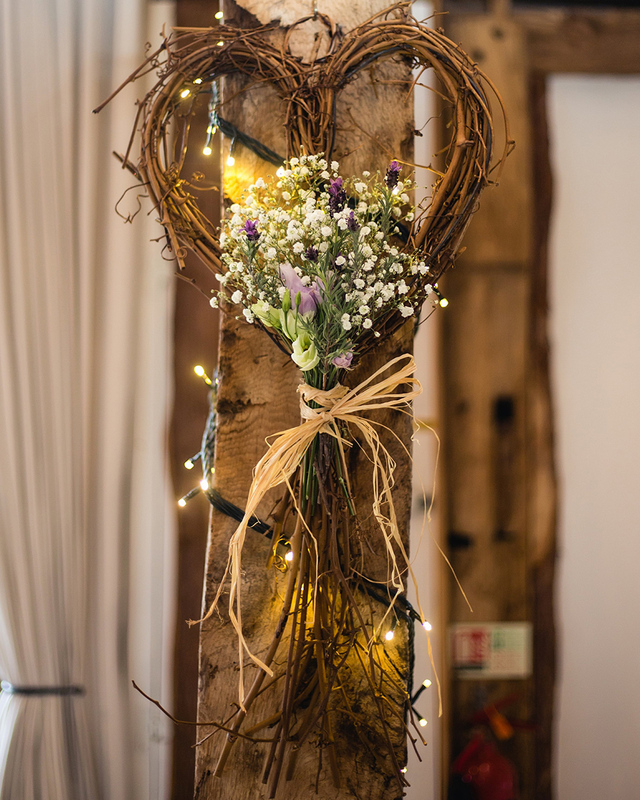 Soft fairylights or impressive uplighters in gorgeous colours really bring Clock Barn to life and make your wedding look and feel all the more special. As the saying goes, ‘if music be the food of love, play on’ and Galloping Gourmet really do offer food you’ll fall for. If you’d like to serve a romantic menu, you could choose dishes that you both particularly love or even something that you ate on a first date. You can use your menu as a highly personal romantic detail but you can be sure all your guests will adore their countryside feast! Finally, if love is sweet then a sweetie buffet has to be absolutely full of romance! 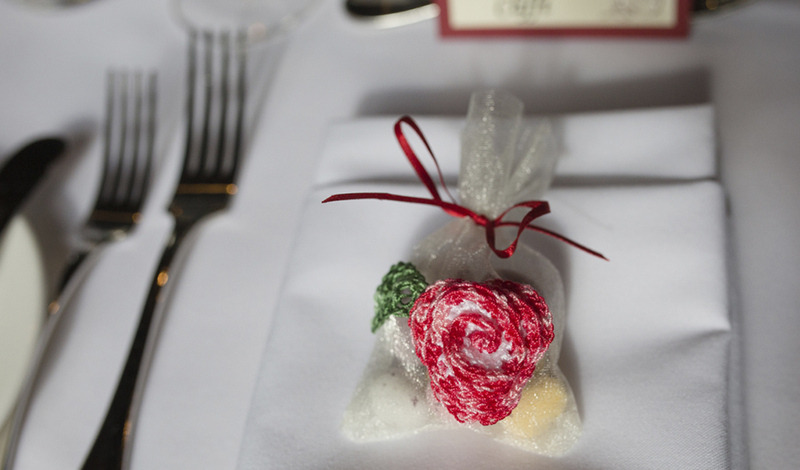 Let your guests make up their own little bags of sweet treats to take away or enjoy at your wedding. 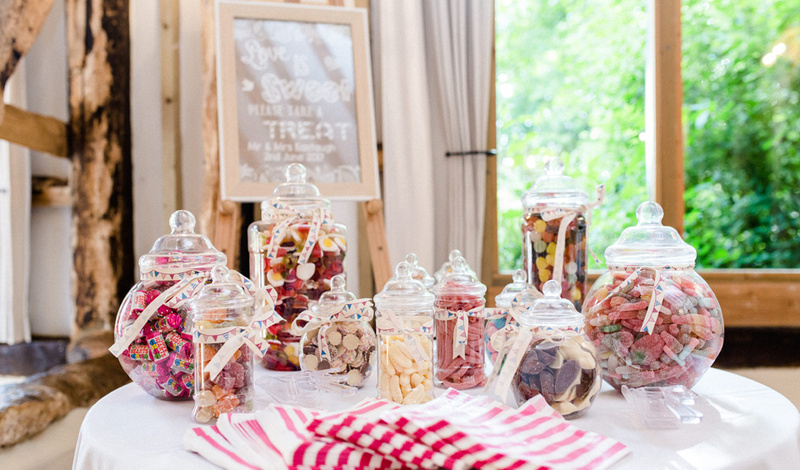 Choose confectionary in beautiful colours and set out the buffet on a decorated table or hire a sweetie cart if you prefer. Yummy sweets aplenty – what’s not to love? But the big question is – who will you share yours with? For more wedding inspiration take a look at Ready, Set, Pin! Inspirational DIY Wedding Ideas for some beautiful rustic wedding ideas.